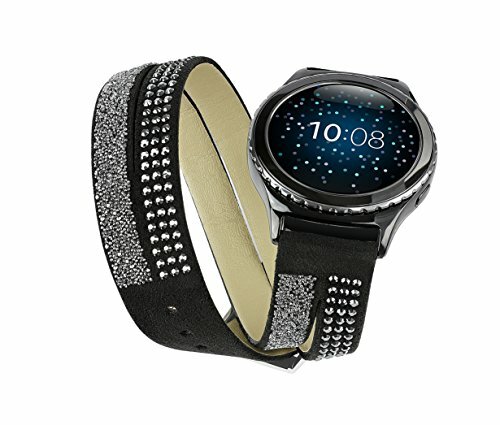 Swarovski has joined with Samsung to create an exclusive strap made with glittering crystals exclusively for the Gear S2 Classic. The fashionable double loop design is the ultimate in high-fashion accessories for your already stylish wearable. Stand out in the crowd as the beautiful crystals reflect your status across the room, making sure everyone knows you’re something special. Available in classic black or rose gold, installation is effortless with standard 20mm connections to instantly elevate your style.